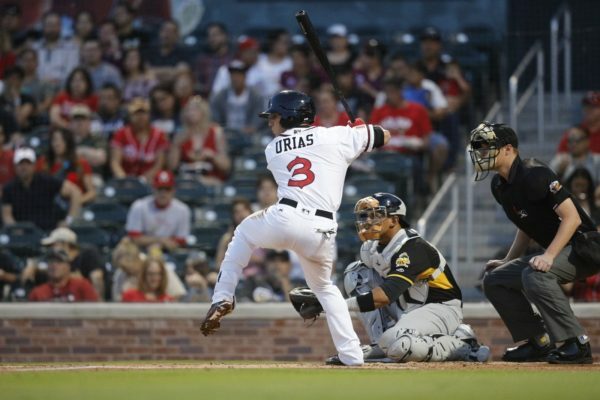 The San Diego Padres’ affiliates were 3-6 on Tuesday. Luis Urias continues to press the issue. He appears to be ready for major league service time and it is only a matter of time before he is promoted. The second baseman went 2-for-4 on Tuesday and is now hitting .292 on the year. Francisco Mejia went 1-for-3 and is also showing that he is major league ready. Mejia is at .313 on the year in El Paso. Ty France hit his second homer of the year in the seventh inning. Carlos Asuaje walked twice and scored two runs and Javy Guerra went 2-for-4. Walker Locket did not get the win, despite going five innings for El Paso. Instead, Dillon Overton earned the victory after pitching the sixth for the team. 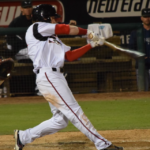 Colten Brewer earned his third save of the year after throwing a scoreless ninth inning for the Chihuahuas, who are cruising into the playoffs. The Missions got roughed up in San Antonio on Tuesday, as they only managed three hits in a 9-0 loss to Frisco. Jesse Scholtens was not effective, allowing seven earned runs in five innings pitched. The top of the Missions’ order, Hudson Potts and Buddy Reed, continue to slump for the team. 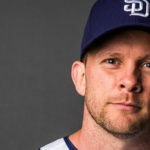 The duo have both struggled since being promoted from Lake Elsinore. Reed is hitting .156 in Texas, while Potts is hitting .167 in his home state. 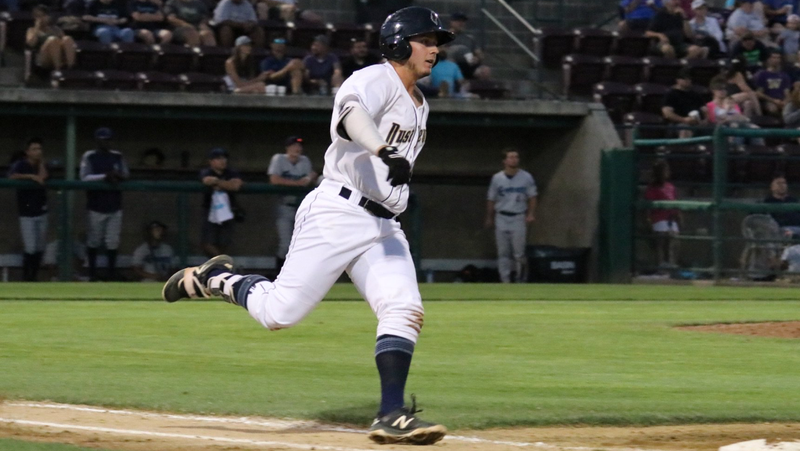 There will be better days for the Missions, but they have now lost four of five games. Reggie Lawson and Ronald Bolanos were on their game, as they and newly promoted Travis Radke combined on a nine-hit shutout of the Inland Empire 66ers. 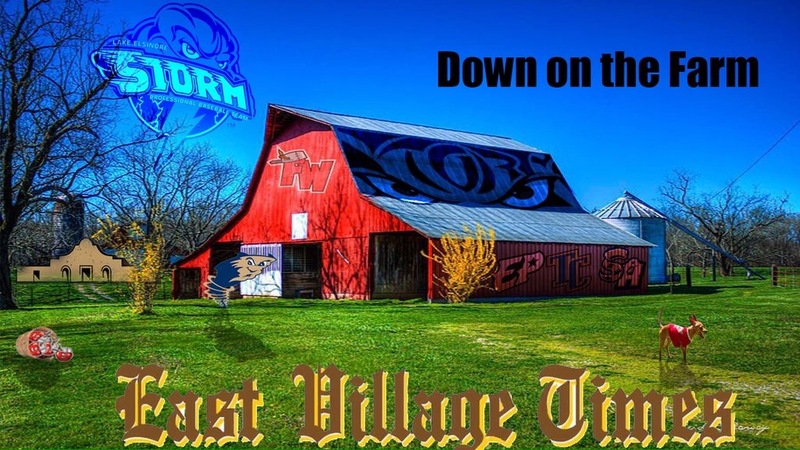 Despite the fact the Storm were only able to manage four hits, they walked away with the victory in front of 1,748 fans at The Diamond. Edward Olivares was the hitting star in the game, as his third inning homer was the only score in the contest. It was Olivares 10th homer of the year in the California League. Luis Torrens started behind the plate and went 2-for-3, elevating his average to .286 on the season. He has had a very productive year. 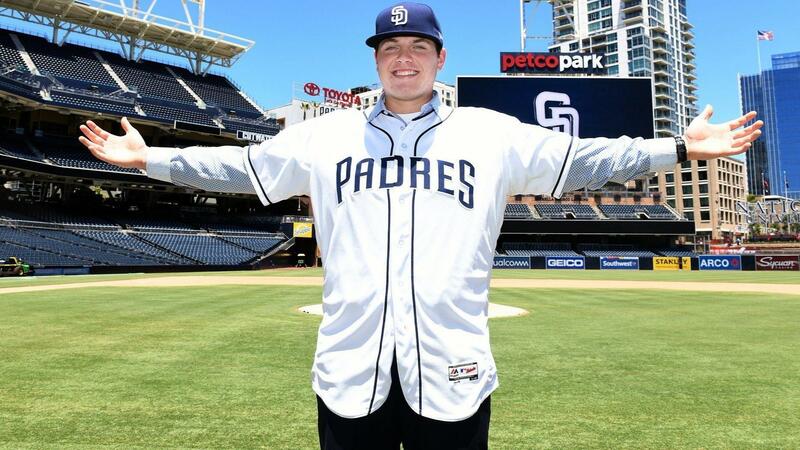 First round pick Ryan Weathers made his debut for the TinCaps and went three plus innings. A rough third and fourth inning for Weathers was enough, as he threw 68 pitches and was pulled. He did get his feet wet at the full season level, so all is not bad. Reiss Knehr and Evan Miller followed Weathers in the game and threw 4.2 innings without allowing an earned run. Miller lowered his ERA to 2.62 on the year. Fort Wayne scored three late inning runs, but couldn’t get anything going against the Loons’ pitching staff. Jack Suwinski recorded two hits and Gabriel Arias hit his fourth homer of the season as his hot streak with the bat continues. Dominican’ hurler Henry Henry was on the mound for the Dust Devils and he went five innings, allowing two earned runs on eight hits. Tri-City lost the contest as they could not get much going with the bats. Five hits on the night was not going to cut it as the home team failed to get the crowd in the game. Three early runs of Henry was enough for Vancouver on the night. Tucupita Marcano went 1-for-4 and lowered his batting average to .319 on the season. Xavier Edwards went 0-for-4 and is hitting .250 on the year for Tri-City. Wen-Hua Sung gave up two late runs in the ninth and now has a 10.69 ERA on the season. 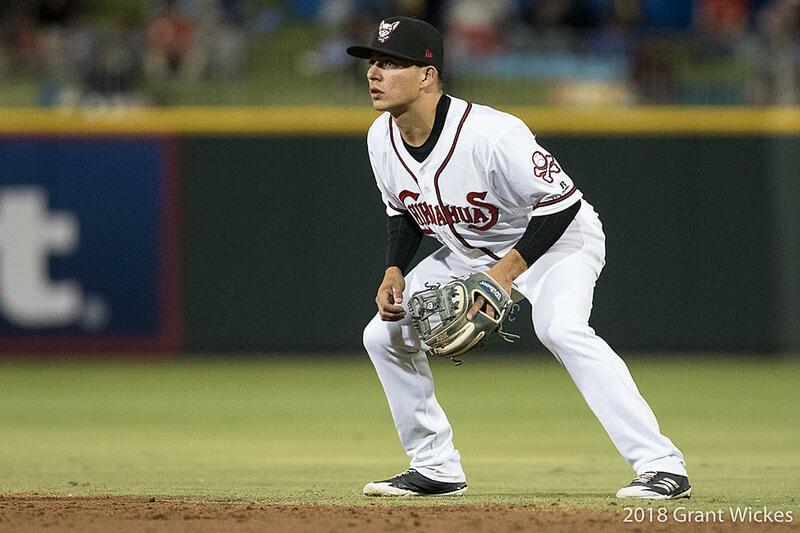 In Arizona, the Padres got a great start from young phenom Frank Lopez. The 17-year-old from Venezuela has a plus fastball and multiple offspeed pitches, including a devastating changeup. Lopez was relieved by a trio of pitchers (Martin Carrasco, Starlin Cordero, and Omar Fernandez) who each gave up two runs a piece. The Mariners AZL team totaled nine runs on 10 hits and five walks. Reinaldo Ilarraza has had a down 2018 season in which he was demoted from both Fort Wayne and Tri-City. The 19-year-old switch hitter from Venezuela still has time to improve his game. The AZL Padres 2 team lost as they were the victims of a walkoff victory by the AZL Indians. Hazahel Quijada earned the loss by allowing one earned run in 1.2 innings pitched. Manny Guzman got the start for the Padres and went four innings. The big 18-year-old Dominican has thrown well this year and could be a decent option for the team down the line. Jonny Homza played third and caught in the game and also went deep, hitting his third homer of the year. Mason House continues to have issues making contact, striking out three times in the game. Sean Guilbe, who was a 12th-round pic in 2018, continues to show a great eye. His OBP is .430, which is excellent for an 18-year-old. In the first game of a doubleheader, the DSL Padres beat the DSL Blue Jays 6-3. Jesus Gonzalez got the start for the Padres and went four innings. 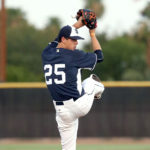 The 17-year-old left-hander has thrown well this season for the team, recording a 2.45 ERA in 45 innings pitched. He was relived by Alfredo Castaneda, who went three shutout innings. The 18-year-old, right-handed pitcher has a big arm, but lacks control at the moment. This was a positive outing for this young hurler. 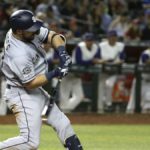 Offensively, the Padres scored six runs in the victory by recording six timely hits in the game. At the conclusion of this game, there are only four more contests left in the DSL regular season. This second game of a doubleheader was played to seven innings, where the DSL Blue Jays won by the score of 2-1. Alan Mundo started the game for the Padres and went three innings. The 18-year-old from Mexico has decent size and a serviceable fastball, but he has struggled with command. Jose Garcia relieved Nova and threw a shutout inning for the Padres. 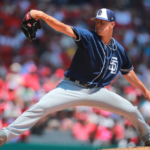 The 20-year-old left-hander lowered his ERA to 1.93 in 16 relief appearances. 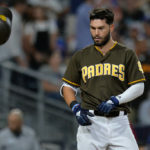 Offensively, the Padres only totaled two hits in the game. 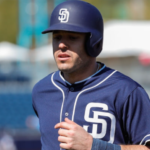 Next What are the Padres’ Plans for Christian Villanueva?